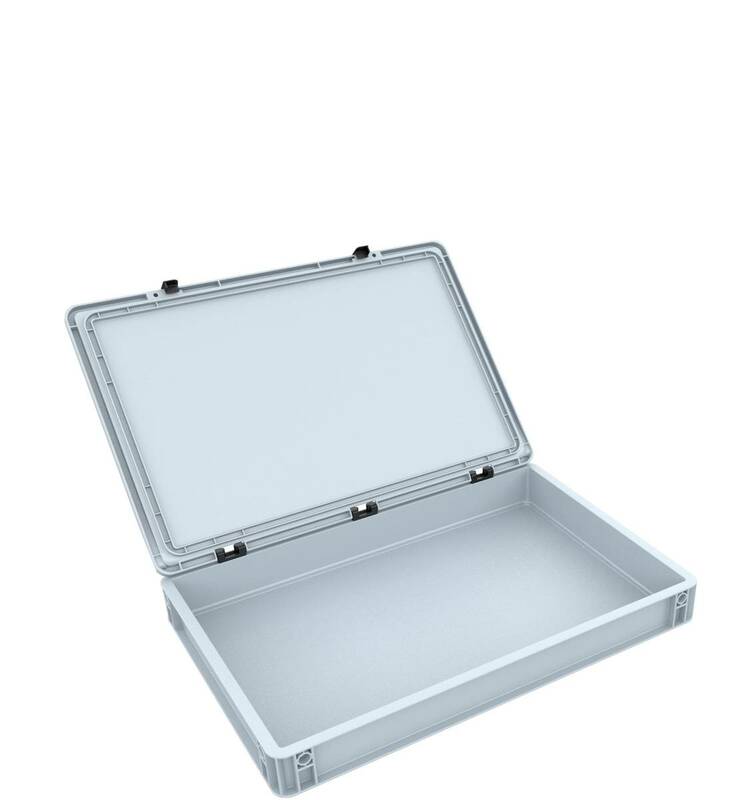 Fits all Feldherr Double-Size, Full-Size and Half-Size foams trays up to 70 mm high. Securely closed AUER Packaging's hinge-lid Euro container can be closed in next to no time thanks to its easy-to-use hinge system. 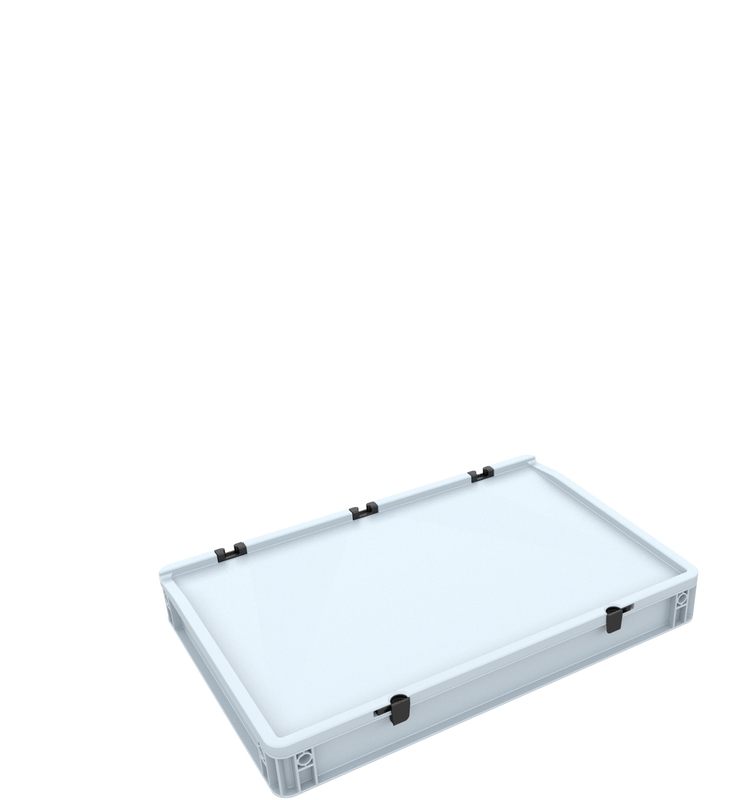 This gives your goods the best possible protection from damage in transit and contamination.